For some reasons, the hubbie loves checking our mailbox daily and he will get upset if the mailbox is empty. Is this only a guy thing or is it something that happens in your house too? He will be so happy even when they were all junk mails inside. I’m quite the opposite. I don’t mind checking our mailbox every two or three days, except when I expect a special delivery from someone. We discussed this mailbox thing the other day, and I asked him the reason. He simply replied because he loves surprises. Hmmm… fair enough. Most people I know loves surprises, except my ex-boss who detest surprises so much. When she turned seven, her parents made a surprise birthday party for her and she hated it so much. It’s like the worst birthday ever, according to her. 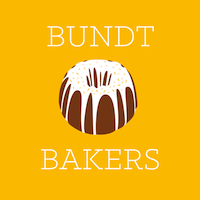 Speaking of surprises, this month Bundt Bakers is all about hidden-surprise-filled bundt cake. I’ve been wanting to make this kind of cake ever since I read this Surprise-Inside Cake Book by Amanda. And that moment can’t be any sooner. A big shout out to Anshie of Spice Roots for hosting us this month. This bundt cake is so much fun to make. Filled with lots of colors and tons of surprises. The polka dots inside were made using cakepop maker, then placed into bundt cake mixture. The result? Lots of big smiles and happy dance from those who enjoy this bundt cake. In a mixer, combine the eggs, sugar, and vanilla until light and fluffy. In a separate bowl, combine the flour and baking powder. Add to the egg mixture and combine well. Add the butter and mix. Add the milk and combine. Scoop about 12 tbs and divide the batter between five or six small bowls (each bowl has about 2 tbs batter). Add a small amount of food coloring to each bowl to make different pastel shades. Bake according to your pop cake maker. After the cakes are baked, let them cool completely. Pour a small amount of batter into a well-greased Bundt pan. Drop a few cake balls into the batter. Continue layering the cake balls and batter. Bake for 45 minutes or until a toothpick inserted into the center comes out with just a few moist crumbs attached Let the cake cool completely before removing it from the pan and enjoy! This cake has a different texture than any other baked cake. It’s moist, not overly sweet, and more like a steam texture. Don’t forget to check other surprises too! requirement was that the cake be filled/stuffed inside. Anshie from SpiceRoots was our host for this month. Awwww…that happens between me and mom also *cough cough*. Hope you get a chance to try this one using your cake pop machines. Hahaha my husband is the total opposite! I have to yell at him to get the mail. Sometimes, if I don’t, he could easily wait the whole week to get it. So frustrating! What a creative cake! I love the color cake balls inside! Hahaha, that’s so funny. I was just teasing him last night because he was eager to get mail at 10.30pm. And hope you get a chance to try this. I wish my man liked surprises and would go check the dang mail! I’ve actual missed some really important things because he doesn’t like to go to the mailbox on a daily basis! What a fun idea! I never would of thought of doing this. I going to have to experiment with this! My daughter’s birthday is next Wednesday and she loves polka dots. What a fun idea! This would be great for easter or a birthday party! I love the polka dots! Such a cool idea! The cake looks so perfect! Such a smooth texture. What a pretty cake. So spring filled with your lovely colors! I am with you on the mail issue… Checking the box every couple days is enough for me, but my husband has to be right on top of it! I think this is so cute, what a great idea for our theme!! I’m work your husband on the mailbox thing… I like to check everyday and am bummed when there isn’t anything inside! I assume the postman isn’t doing his job or took the day off. Hah. This bundt cake is super cute and I love the light, pastel colors. Great job on the surprise inside! LOL – my husband said the same thing too. Thanks for stopping by, Olivia and hope you get a chance to try this. Your cake is one cheerful treat, Linda! Do believe your boss might even enjoy the colorful pops of cake inside cake! P.s. I do check mail daily because I want to stay on top of bills. Maybe you don’t have any =) Lucky you! Oh My Goodness! This looks incredibly delicious and so creative! What a fun cake! My daughter would absolutely love this for her bday! But she would also love to help make it! Who knew it could be so easy to make? Thanks for the recipe! How cute is this! It’s like a less labor intensive version of the rainbow cake that’s so popular on pinterest right now, but it has the same level of whimsy. Love it! Thanks, Joy. I love seeing all the surprises inside and guess the colors I get when I slice it. I love this bundt! It is adorable, my family would love it! Thanks, Patricia. It’s so fun to make and see the surprises inside. Great idea!!! I have a pop cake maker and may sometime I´m going to bake something like you!!! Thanks, Ansh. Hope you get a chance to try this soon. That’s so so pretty!! I love the surprise inside theme!! I’ve got that book too but forgot to look in it for this month’s challenge lol. This looks so pretty, a sweet and colourful surprise indeed!